Imma of ImmaCle, a well-known Bridal wear designer from Barcelona, is one of those women that I have heard such good things about and that I personally follow on social media. 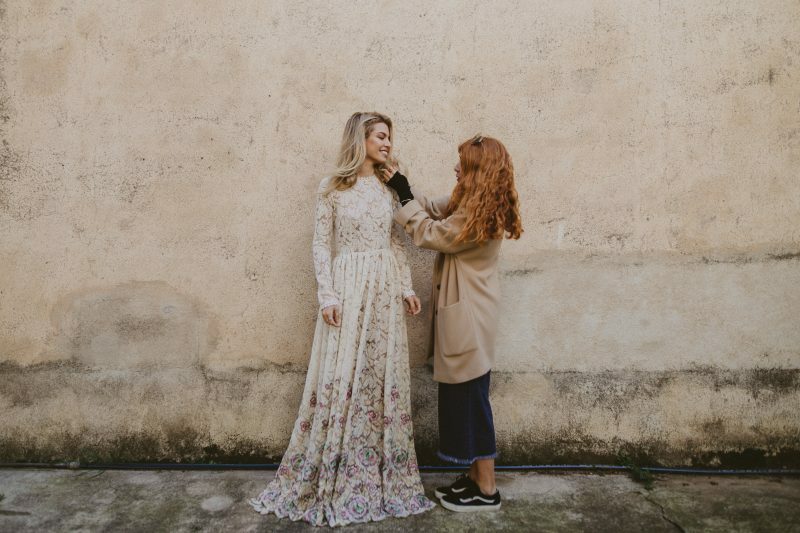 Imma graciously opened the doors to her stunning showroom in Canet de Mar, a small town just outside of Barcelona, and I had such a wonderful time getting to know her and her bridal wear brand better. It became apparent that a large part of her success is due to her down-to-earth nature; she is truly a vibrant, talented and creative woman with a gift for wedding and fashion design. As is the case with many gifted designers, what started out as an adventure over 25 years ago turned out to be Imma’s life calling. When Imma was in her sophomore year at CELI design school, her sister got engaged. Her sister didn’t like the typical wedding dresses that were in the market at that time. Imma, a very daring woman at heart, told her sister not to worry, that she would design her wedding dress. And her sister absolutely fell in love with it! Imma crafted her sister a dress made entirely from Indian Silk, ankle-length, slim, and very ethereal. Her sister wanted to wear her long, curly hair down and Imma’s dress was just in keeping with her style. The dress was years ahead of its time and would actually be very much in style now! And it seems like destiny was awaiting, because from there on out Imma was the go-to wedding dress designer for all of her sister’s friends. And Imma was still in school! From that experience, Imma’s passion was born. 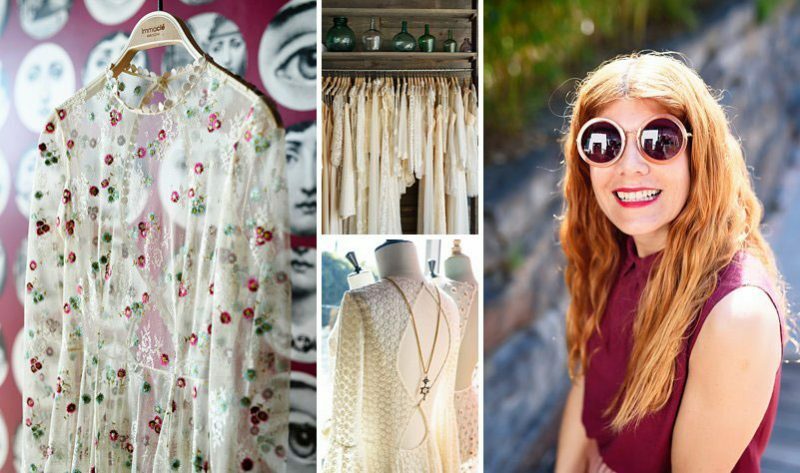 She decided to specialize in Bridal wear and finished her design degree focusing on this type of fashion design. Imma designs for women who look for something different. She designs for women who stay away from mainstream fashion and instead choose to have something completely unique designed specifically for them, especially when it is such an important life event such as a wedding. 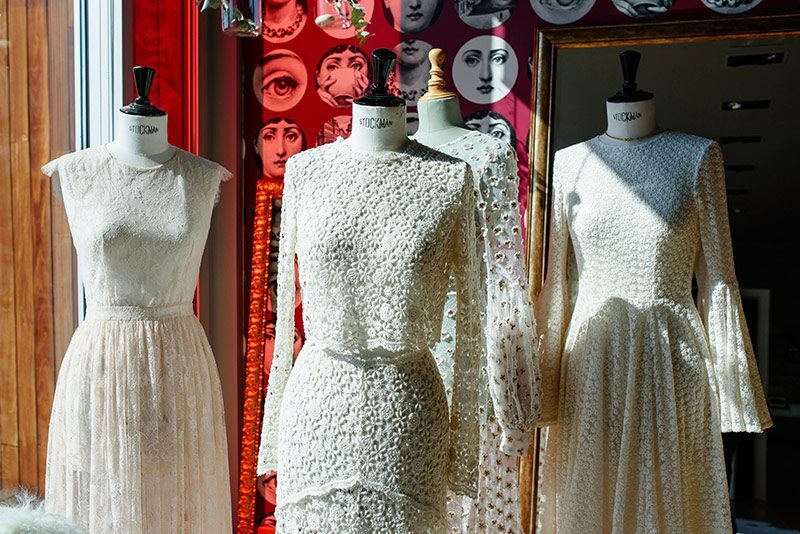 These women don’t mind travelling to find the perfect dress; they take the time and effort to find something completely unique. They are strong and willful women. Unsurprisingly, Imma’s designs attract strong, well-educated, independent women who stem from different fields, such as doctors, architects, lawyers, teachers, but whose jobs have a very direct impact on society. Her Brides come from all over the world to meet her. And as she states “one of the great advantages of internet and social media is that we can cross all borders and become international in the blink of an eye. A Bride that’s looking for a unique, eclectic dress will research designers until she finds the designer that captures her eye.” It’s no longer a matter of how much money a brand has to spend on marketing campaigns, it’s now a matter of that unique Bride finding the unique dress that she is dreaming of – and suddenly finding an Imma Cle design that she falls in love with! Imma’s love for fashion and eye for avant-guarde designs are in her genes, as she comes from a long line of seamstresses and designers on her mother’s side of the family. 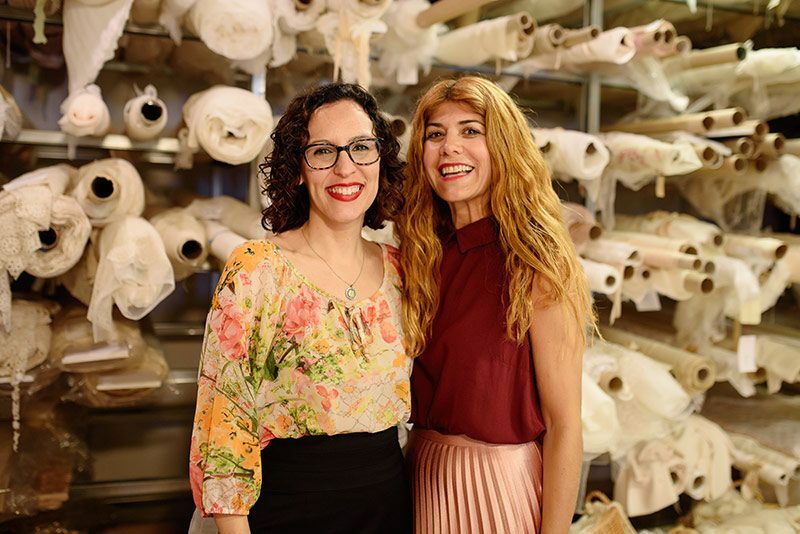 She started her atelier under her given name, Imma Rodriguez Clemente, and decided to change her brand name to Imma Cle as a tribute to her grandmother and great-grandmother who were designing and sowing dresses for the upper-class families of Spain decades ago. 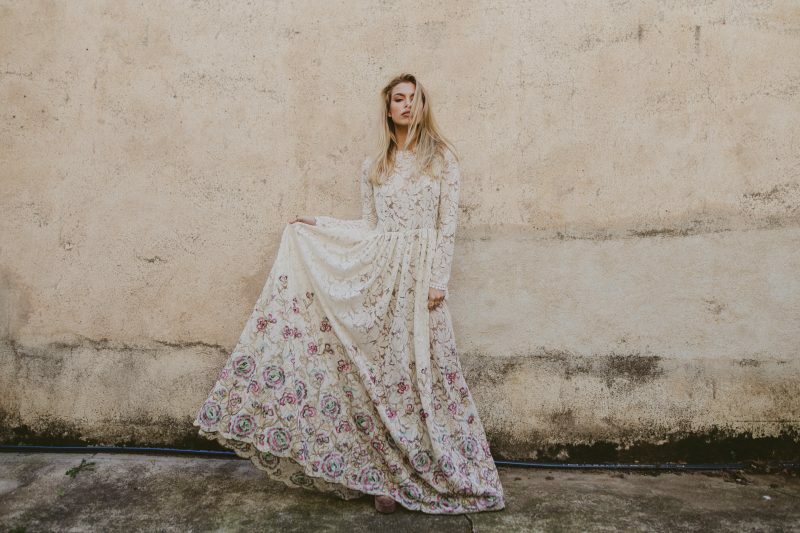 Imma mixes a number of styles in her designs: eclectic, vintage, boho, romantic; as she states “it’s an explosion of different styles, which varies based on each Bride. Ultimately, it is each Bride that chooses her own specific style”. And for Imma, one of the best compliments that a Bride can get on her wedding day is “it’s so YOU, I couldn’t imagine you as a Bride any other way…” The dress is about each Bride, and therefore the Bride wears the dress – the dress doesn’t “wear” the Bride, “it can’t dominate the Bride. Her own personal style has to come across on her wedding day” Imma states. 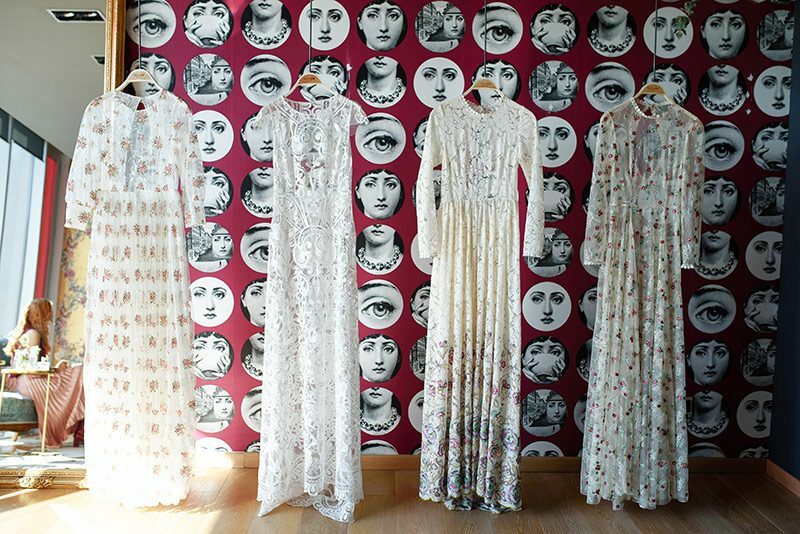 Imma’s motto is “Novias con amor” – Brides with love. To her it represents everything that the Bride is experiencing at this moment of her life: the love of her fiancé, the love of her family, the love of her friends and the love that the Bride has for everyone around her. It’s a very emotional time for the Bride and for everyone near and dear to her, which Imma understands and interprets in all of the designs she creates for each and every Bride. As Imma firmly believes “You don’t just sell a Bride a wedding dress, you are selling a Bride her dream dress, the dress that she has been dreaming of since she was a young girl. You sell her joy, hopeful anticipation and love”. 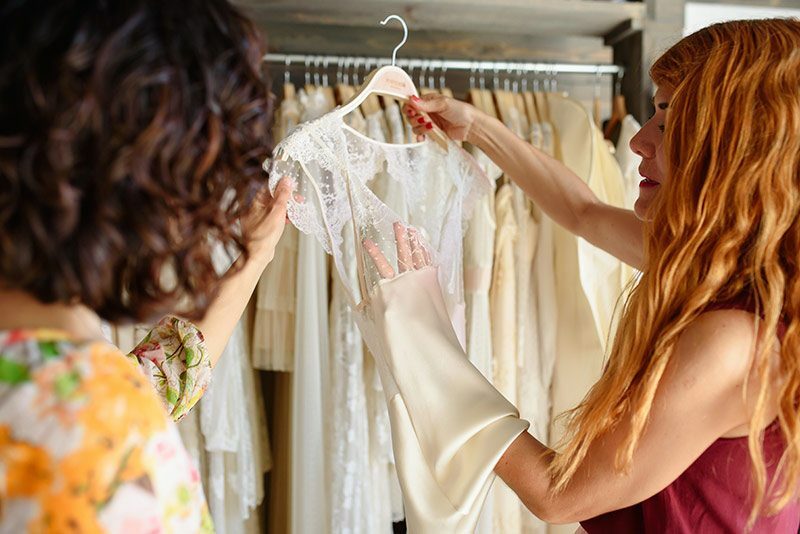 One simple way to sell to Brides who are far away and cannot travel is having multi-brand stores carry the brand – and indeed many multi-brand stores have reached out to her to express their interest in carrying the Imma Cle brand. However, Imma has shied away from expanding into multi-brand stores as she believes that the success of the brand lies in is its essence and its charm – and the Imma Cle team is the best suited to lovingly cater to each and every Bride. One of the new adventures that she decided to embark on this past March 2017 is expanding via trunk shows, which are already wide-spread in the USA but are the next big thing here in Europe. 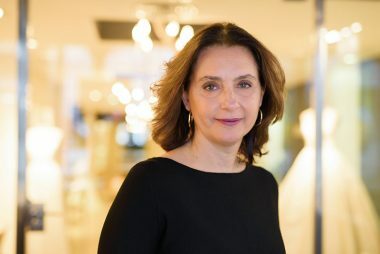 She has planned numerous successful trunk shows throughout Spain, and now has her eye set on Paris and Berlin, among others. Imma loves to have the opportunity to connect with Brides on a personal level, to look them in the eyes and capture their essence. And although new technologies help to span across borders, Imma knows that there is a lot of non-verbal communication that can still get lost along the way. Would you love to have Imma Cle design your wedding dress? She will be thrilled to meet you at her atelier in Canet de Mar, Spain or perhaps she will be a trunk show near you very soon! Click here for more information.